Old and abandoned billboards shouldn’t have to stay vacant and rusted, especially the ones closer to the ground in areas where people are constantly moving around going about their daily lives. 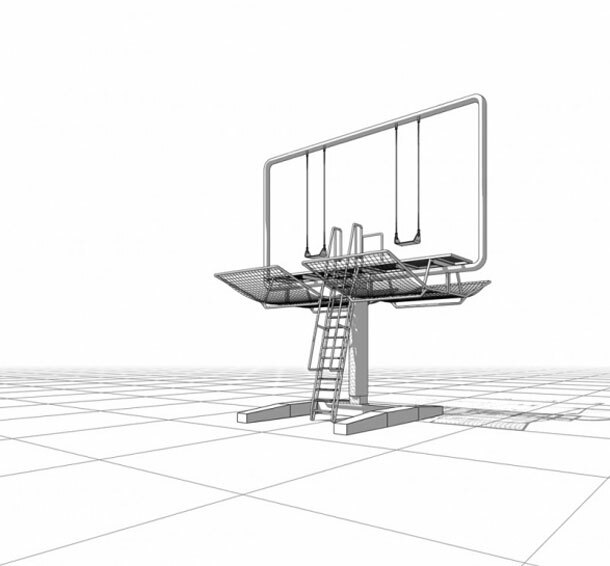 How amazing would it be to have a billboard converted to a swingset?? Many people would pass on by, have a quick swing and then go about their business. The swing set would attract alot more people, than one that’s rusted and bare. 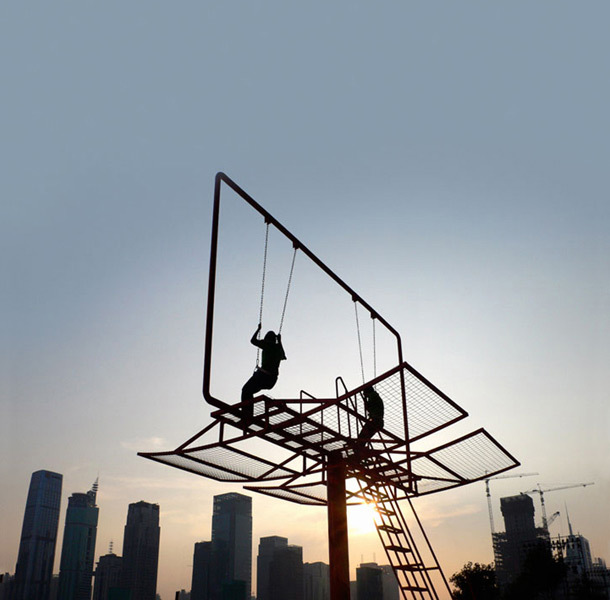 Paris-based architect Didier Faustino made this cool swing set out of a converted advertising billboard for the Shenzenhen- Hong Kong Bi-City Biennial of Urbanism and Architecture. Now many people are asking to do the same to vacant billboards throughout America.